WEB DESIGN: This popular hair salon in Surrey enlisted me to bring their website up to date with a slick new design. During the process I was able to migrate the site to a more user-friendly interface. This means that they can now edit the site with smaller tasks like adding photos to their gallery themselves and I am always around to help with more technical updates. This was all done with minimal downtime and no disturbance to their integral online booking system, a result they are very pleased with. EMAIL DESIGN: I design the weekly marketing email campaigns for multiple brands including Bullabaloo. I take care of the entire process - planning, designing, creating and sending each email in order to optimise sales and grow their customer base at a fast rate. Bullabaloo are so pleased with the sales from these new designs that they have recently increased our email output to two emails per week. EMAIL DESIGN & MANAGEMENT | I currently write, design and manage the weekly email newsletters for emerging baby brand Bullabaloo. EMAIL DESIGN & MANAGEMENT | Another unique design of mine for Bullabaloo's weekly email newsletters. 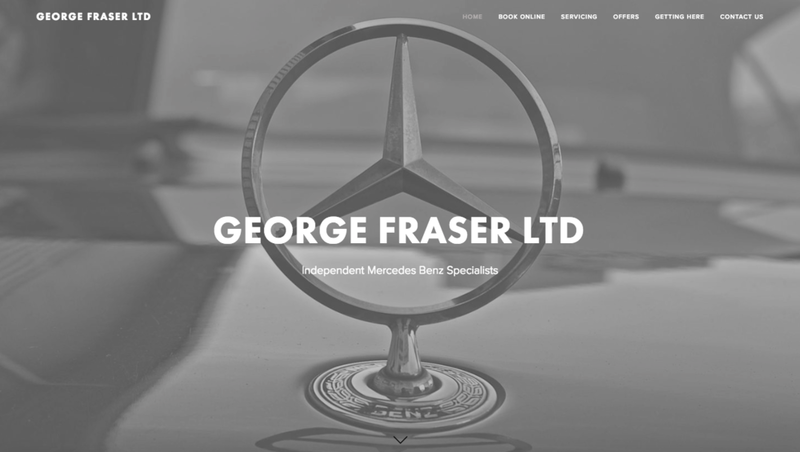 WEB DESIGN: This luxury car brand asked me to redesign and revamp their dated website. I introduced a slick web design and added my own original photography of their business to show potential customers the quality of their work. Again, I also transferred the site to a more affordable and easy-to-use interface which they can manage themselves, saving them hundreds of pounds on IT support they had been sold but didn't actually need. WEB DESIGN: A beautiful, clean and modern, scrolling website design for a luxury vehicle brand. 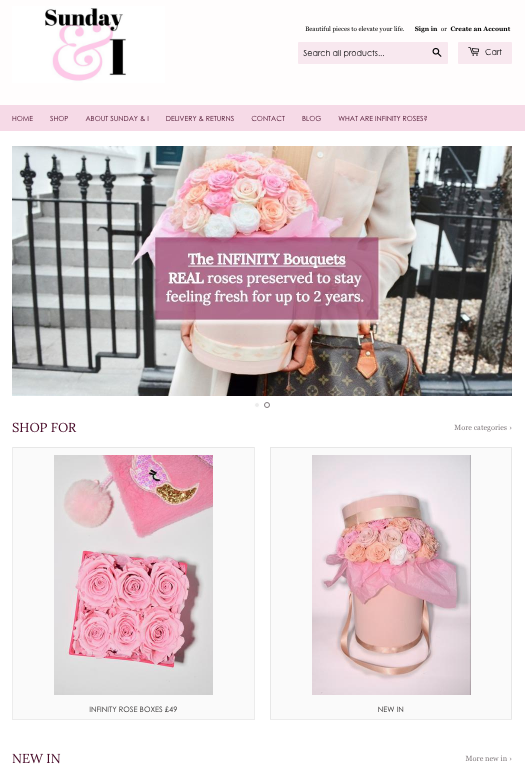 COPYWRITING & ONLINE STORE DESIGN: I often collaborate with popular brands such as Boohoo and House of Fraser, producing high-quality, sponsored content on my growing personal lifestyle blog. I also designed the online store for online accessories pop up shop MADE by Jade, using my own photography to create a light, bright and chic store that is easy to shop. 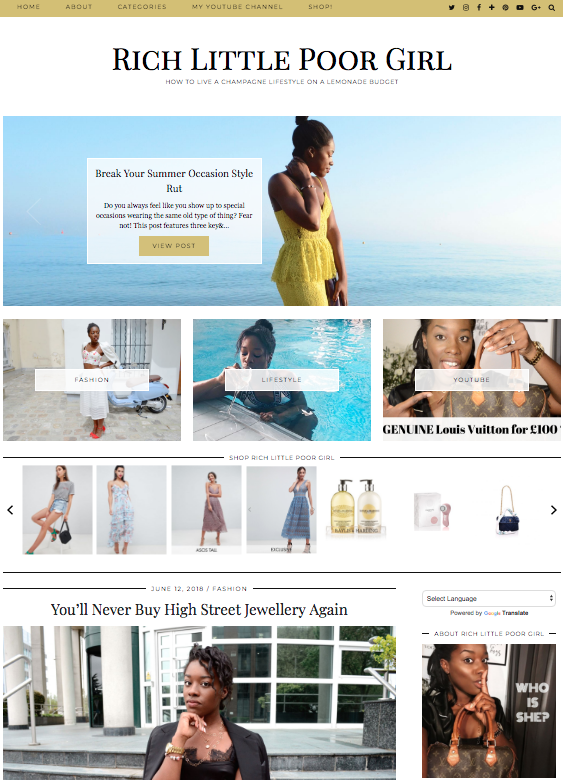 COPYWRITING | I also collaborate with popular brands such as Boohoo and House of Fraser, producing high-quality, sponsored content on my growing personal lifestyle blog. ONLINE STORE DESIGN | I redesigned the online store for Sunday & I and now manage the product photography and online marketing for the brand. VIDEO PRODUCTION: I went behind the scenes with hair extensions brand Runway Hair, creating a video to show their online following exactly what goes into a web shoot for a beauty brand. (With special thanks to Luigi and the great team at Luigi M Hairdressing, Addlestone, Surrey for providing location, hair and beauty for this shoot). EMAIL DESIGNS: More email campaigns I have created for brands in order to make the most of their products and promotions and drive sales during particularly competitive periods. MAILCHIMP EMAIL DESIGN | After the successful redesign of their website, Sassy Online hired me to design and manage all of their email campaigns. EMAIL CAMPAIGN MANAGEMENT | I wrote and designed the 2016 Christmas email campaign for Sassy Online with great commercial success.